“The only thing that is constant is change.” A phrase published by Heraclitus, a Greek philosopher, in 500 B.C. still holds true in 2015. Perhaps, no one understands that belief more than someone trying to sell a sport sponsorship in an increasingly competitive market. Everyday is a new day, a fresh start. The people responsible for designing and activating sponsorships have to be at the top of their game. IEG, a leading organization in sponsorship analysis, insight, valuation, and measurement, proposes four trends to know and follow in hopes of leading a successful campaign. Start by telling a story to the target audience, but don’t necessarily make it about your company. Take note of country singer Toby Keith’s song “I Wanna Talk About Me.” Potential buyers like talking about a brand, but what they really want is to talk about themselves: what they think, like, know, want, and see. A brand can nurture stories by asking people to participate and become advocates. Consider PepsiCo’s “Are You Fan Enough?” campaign with the National Football League in 2013. 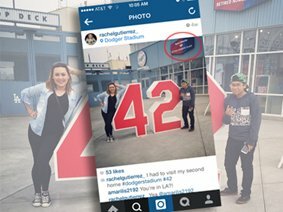 In an attempt to create the ultimate fan experience, the campaign used engagement. It’s crucial to make potential buyers feel like they belong, part of the community. According to the official news release, a ten-city bus tour tailgate party that allowed fans to deliver a personal message to their favorite team in hopes of making it to the jumbo-tron. NFL rookies asked fans to show they are “fan enough” by voting online for Rookie of the Week. Fans also got a chance to win tickets, team merchandise, and participate in special moments by using #FanEnough. 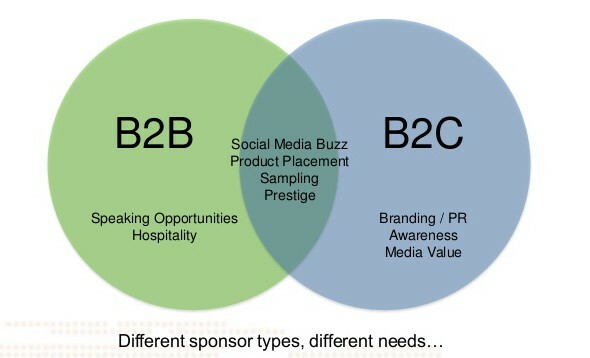 A sponsorship is no longer just about the value for the company. Serving and value for the consumer should be a primary focus. This campaign wanted fans to express their passion, build morale, and stick together until the end. If a team makes it to the Super Bowl, fans will have bragging rights, the chance to see the game, and it can put their team/hometown in the national spotlight. Attention. Select. Recall. Reoccur. Not every sponsorship is a home run or touchdown. It takes an incredible amount of brainstorming, crafting, and evaluating to walk away with a win. What is the key to success? IEG, a leading organization in sponsorship analysis, insight, valuation, and measurement, says it’s pairing innovation and sport. IEG has developed eight ways to successfully turn sports assets into value-enhancing, consumer- focused ideas. It starts with finding emotion by viewing audiences as people, not demographics, and developing a relationship. NCAA realizes even die-hard basketball fans cannot sit around for two weeks watching continuous March Madness coverage. But they can watch almost every game through the March Madness Live streaming service or apps for iOS, Android, Kindle, and Windows devices. The accessibility allows fans to carry on with their lives, like going to the mall with family, without missing a play. Create great content; bring something new and better to the fan experience. More than 80 teams are engaging fans with in-stadium interactive displays. The feature allows them to use their phone to “have a deeper conversation with their favorite teams, athletes, sponsors, and fellow fans” with “access to exclusive content, promotions, and giveaways,” according to Chantal Tode with Mobile Marketer. Consumers are human. Great stories draw them in and keep their attention. As IEG says, “Every touch point is an opportunity to prove who you are.” Consider the Budweiser commercials that air each year during the Super Bowl featuring the clydesdales and Golden Retriever. The storyline is relatable and emotional, which captivates millions of viewers. This year’s theme was titled “Lost Dog” with an emphasis on #BestBuds. Companies must stay one step ahead: be relevant, be agile, be fast. Launch small ideas and quickly move on. It’s easy to be pushed out of mind, so create memorable moments that give the world something they can’t stop talking about. Remember the ALS Ice Bucket Challenge? Nike tweeted a staged photo of a coin toss that that went viral during the CFP National Championship in January. Measure what matters, not what’s easy to count. According to IEG, reach and media equivalencies “fail to reveal whether or not a partnership is building market share, brand value, or shareholder value.” Remember to concentrate on outcomes over outputs. Balance the portfolio to “reveal both conflicting images that dilute brand impact, as well as overlapping strengths and weaknesses.” Visa uses its sponsorships to communicate its credit/debit card payment service is “everywhere you want to be.” From the FIFA World Cup to the Olympics Games, each event plays a different role in the pursuit of fulfilling objectives. Sponsorships can generate big money, but the expectations are growing and the ideas have to be innovative. IEG predicted brands would spend $14.35 billion on sports sponsorship deals in 2014, according to Advertising Age. That’s a 4.9% increase from 2013 when spending grew by 5.1%. PepsiCo spent the most on sponsorships in 2013: $350-355 million. Coca-Cola, Nike, Anheuser Busch, AT&T, General Motors, Toyota, Ford, Adidas, and MillerCoors rounded out the top ten. It’s not just about the money, though. The art of preparing, selling, and evaluating a sponsorship deal is constantly evolving. A successful sponsorship should aim to create a win-win for the sport organization/event, fans, and sponsors. As Laura Huddle, Senior Marketer at Eventbrite, says, “Ask not what your sponsor can do for you, ask what you can do for sponsors.” The experience should be unique, while meeting target demographics and objectives. It is crucial to understand who attends your event(s) by gender, income, age, ethnicity, job titles, location, etc. Are they decision-makers or key influencers? What are their brand preferences? How often do they participate? You can collect additional information using registration details, surveys (don’t ask too many questions), experience from sponsors, and social media engagements. What makes your event unique? On-site signage, logo on a website, merchandise, tickets and hospitality during the event, and co-branding are all options. No idea should be held back. Start with people you know and event participants. For example, friends, board members, volunteers, and customers. Also consider competitors of sponsors of other events, supporters of your cause, and grand openings. Tailgaters need food, right? Why not have a Tailgater of the Game contest? Food City has that deal with the University of Tennessee. Judges search Neyland Stadium for style, spirit, and creativity. The winner receives a $500 Food City gift card and a shoutout on the video board. What’s in it for Food City? Brand awareness. Once you’ve made a list, research what sponsorships they’ve done before, find out who makes the deals, understand why they make those decisions, and learn about their decision deadlines. Business-to-business and business-to-consumer are going to have different needs. Forget selling points! Discuss specific ways an organization/event can help a sponsor meet their goals. Focus on the individuals attending, the story behind the event, event numbers, and the experience. Find out what the sponsor wants to evaluate: total audience, demographics, engagements, impressions, leads, media value, awareness, testing a new product, etc. When someone else can validate that a particular project was a hit, that statement will have more of an impact on potential sponsors’ decisions. A complete understanding of your organization/event and sponsor is key. The relationship will prosper with relentless communication, evaluation, modification, and new ideas.